The Powerpuff Girls (Fusion Fall). . Wallpaper and background images in the パワーパフガールズ club tagged: powerpuff girls blossom bubbles buttercup. This パワーパフガールズ photo might contain アニメ, 漫画, マンガ, and コミック. Why weird? They look hot. @LaRinta. It's because they're re-designed in an anime style. 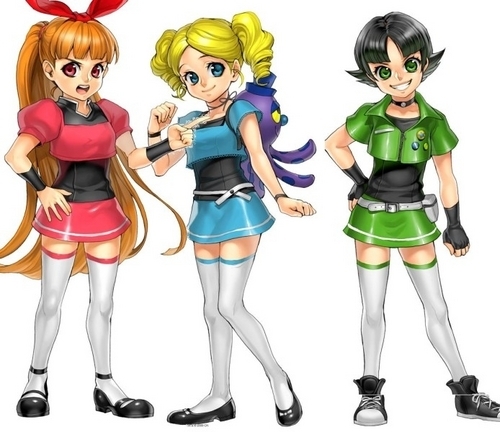 @RowdyRoughgirls They're re-designed in an anime style. Also they look hot. Did Craig McCracken do their character design for Fusion Fall? @Clutch13 No. Midori Foo did.